High Tech High School sets high bar in Secaucus - MAST Construction Services, Inc. The $150 million High Tech High School in Secaucus officially opened its doors to students Tuesday on the 20-acre Frank J. Gargiulo Campus. The vocational magnet school – which serves grades 9-12 in Hudson County – will educate nearly 2,000 students in more than 70 state-of-the-art classrooms and specialty spaces. 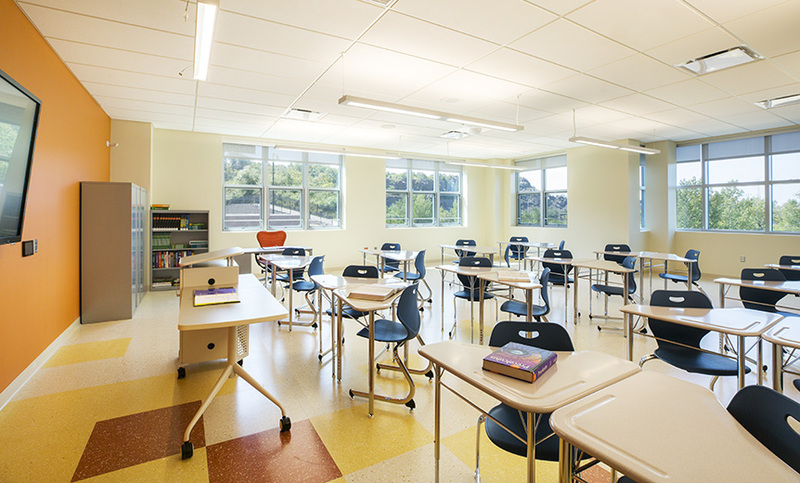 The Hudson County Improvement Authority managed the design and construction process for Hudson County Schools of Technology and partnered with RSC Architects, DMR Architects, MAST Construction Services and Terminal Construction Corp. to design and build the 350,000-square-foot school.